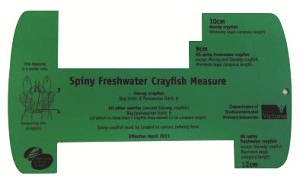 There is a statewide possession limit for Murray spiny freshwater crayfish of 4 . This is the maximum number of rock lobster that a person can possess at any one time anywhere in Victoria (including your home). Murray spiny freshwater crayfish are subject to a closed season, meaning they cannot be taken or possessed on, in or near Victorian waters during this time. 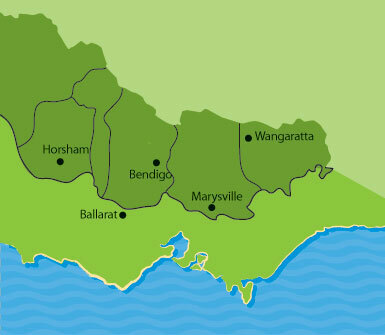 The closed season for Murray spiny freshwater crayfish is 1 September to 31 May for waters north of the Great Dividing Range (see map below). You may not possess female Murray spiny freshwater crayfish with eggs, or with young attached, or remove eggs from a Murray spiny freshwater crayfish. You must return females in berry (carrying eggs) or carrying young to the water immediately and without further harm. 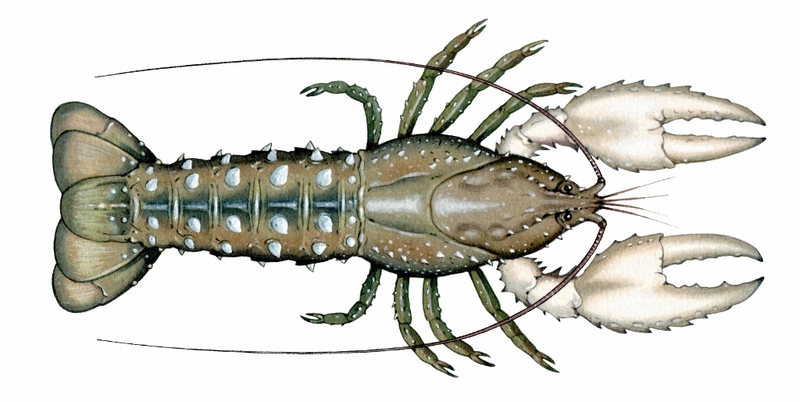 Murray spiny freshwater crayfish must be retained whole or in carcass form. This means you need to keep your cray in whole form (i.e. don't remove the tail from the carapace) until they are cooked, eaten or taken home. by using a combined total of 10 labelled nets (either hoop nets or open top lift nets) in all other inland waters, including Lake Eildon, Rocklands Reservoir and Lake Dartmouth. The number, size and shape of the equipment used is important. It is also important that your equipment is appropriately labelled. Click here for a summary of the fishing gear that can legally be used in Victoria, and how to use it. 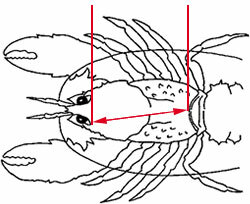 Murray spiny freshwater crayfish are measured from the rear of the eye socket to the nearest part of the rear edge of the carapace (main body shell). Measuring devices (pictured right) can be ordered for free by calling our Customer Service Centre on 136 186.